Christmas Lane has been wowing spectators for 33 years with its holiday lights, Santa Claus meet and greet and impressive displays. Christmas Lane has once again returned to Plant City, with a winter wonderland full of surprises for old and young alike. The event features holiday-related activities including a letter writing station to Santa, live entertainment and pictures with Santa and Mrs. Claus. This year, Christmas Lane expanded its fair-style rides and the amount of living nativities available per week. 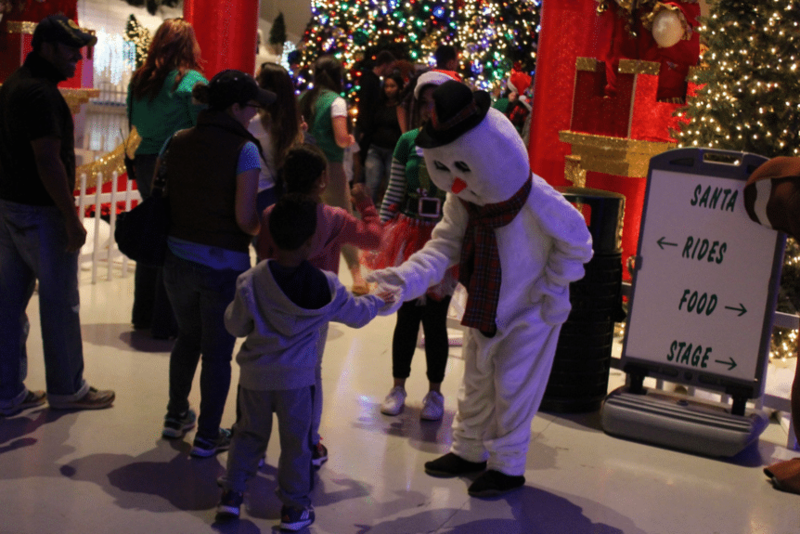 Attendees can also take pictures with Rudolph the Red-Nosed Reindeer, Frosty the Snowman and elves. Christmas lane began 33 years ago at the home of Lane Wetherington. As the years progressed, the event grew and moved to the Strawberry Festival Grounds in 2015, where the 1.5 million lights are on full display. The event is offering free admission for teachers, first responders and law enforcement on Friday nights and is asking attendees to bring canned goods for a collection for the United Food Bank at Plant City. The event is open Thursday through Sunday from 6 p.m. to 10 p.m. Tickets are $5 for ages 13 and up, $3 for ages 12 to 4, and free for those 3 and under. Rides are a separate ticket. Rides are $2 each or $10 for an unlimited rides armband.